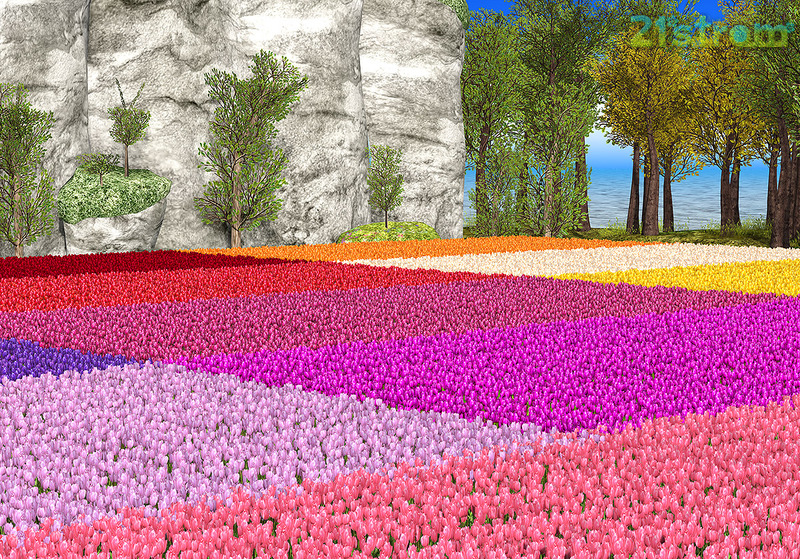 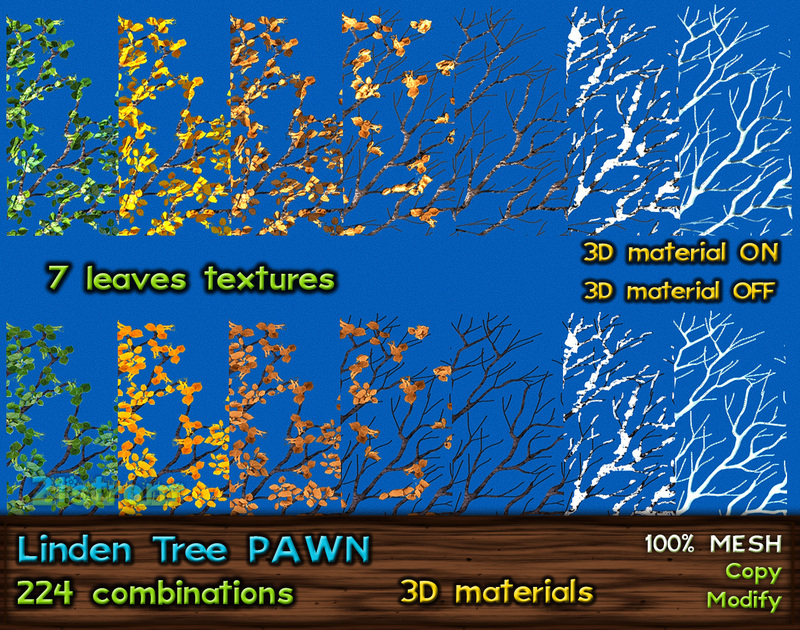 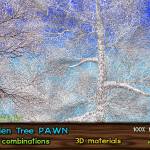 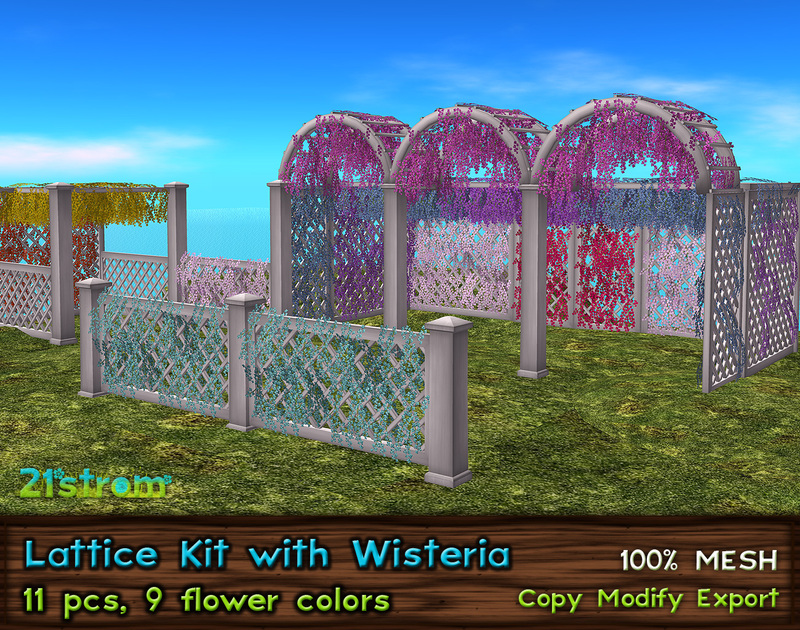 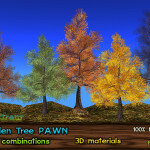 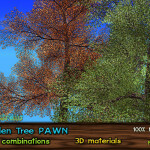 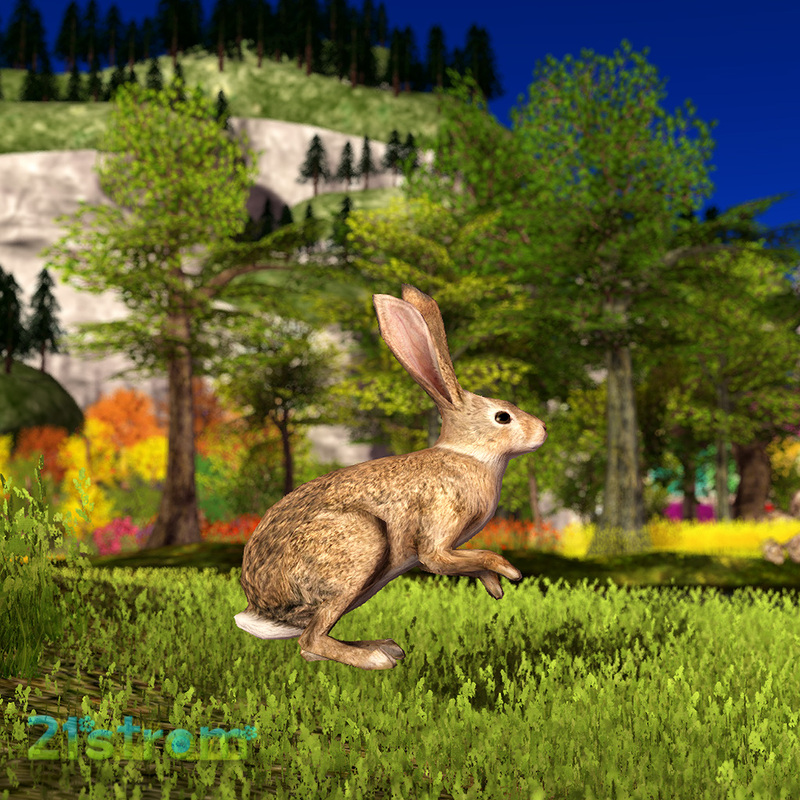 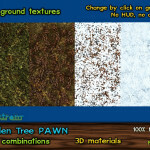 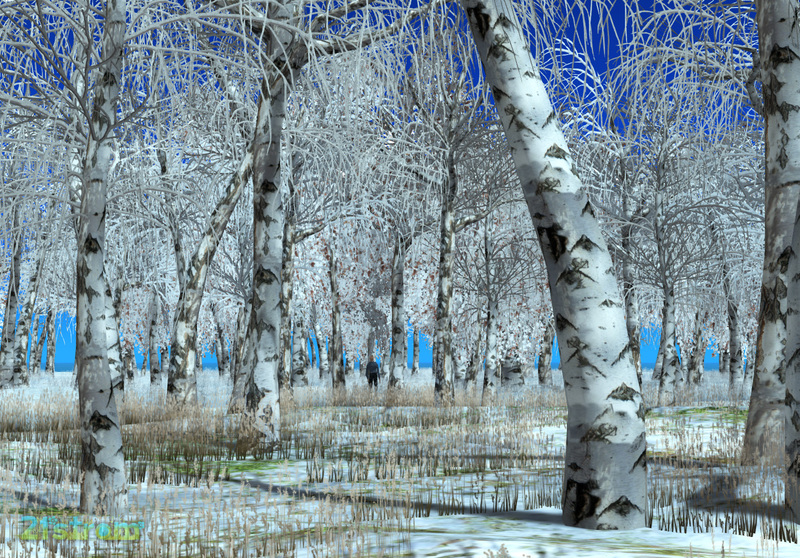 224 combinations – there is 7 seasonal leaves patterns, 2 trunk textures, 4 grass textures and 4 ground textures. 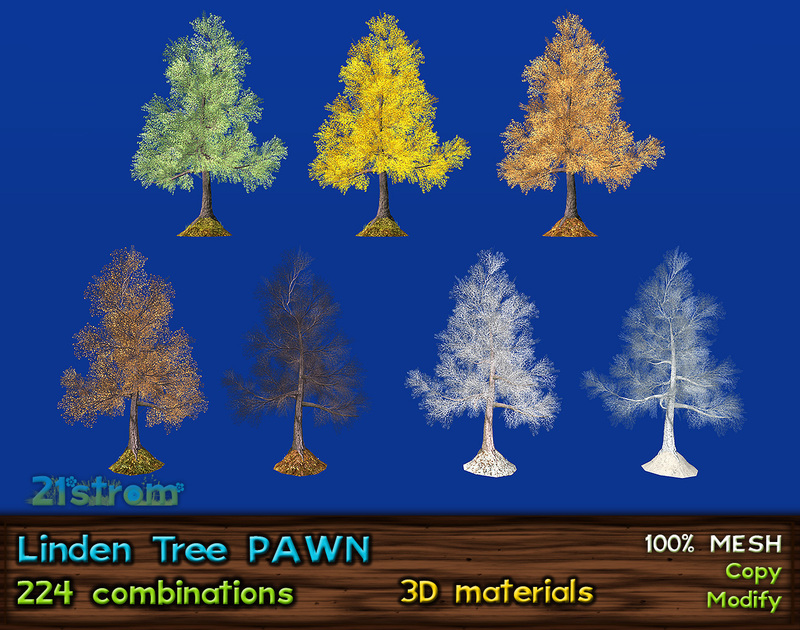 Each tree can use any of these combinations. 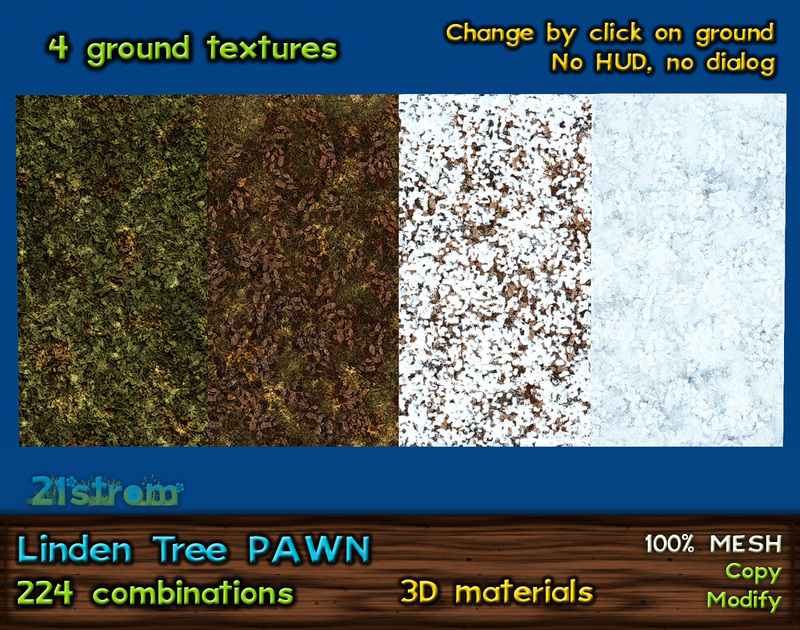 Click on part of tree for all possible textures. 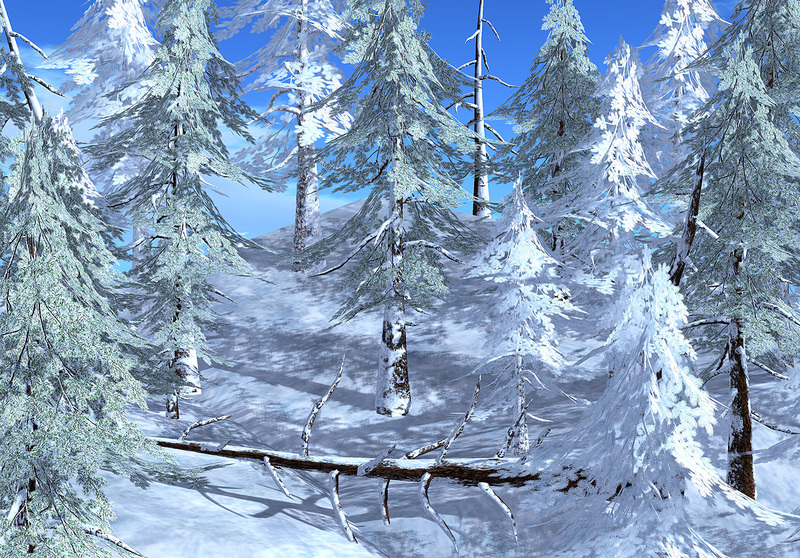 No HUD, no dialog. 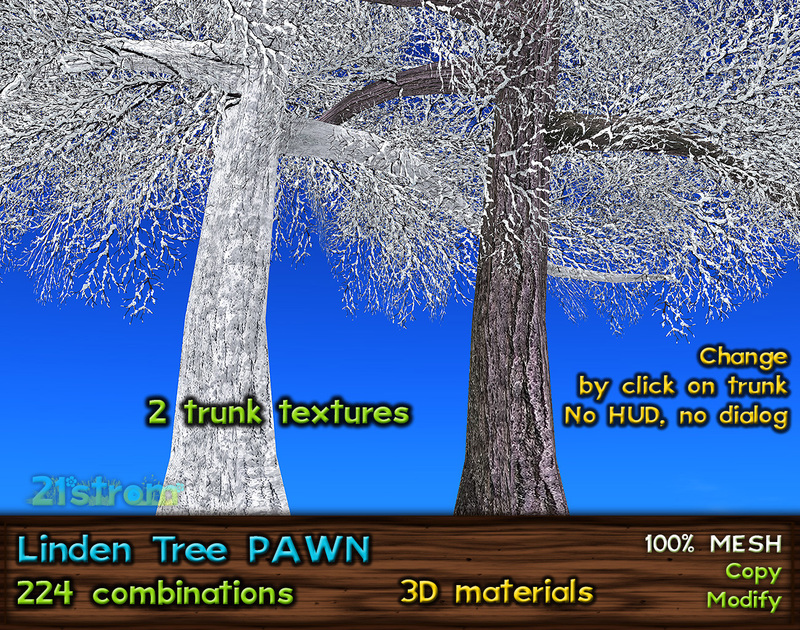 3D materials on for trunk, branches and leaves. 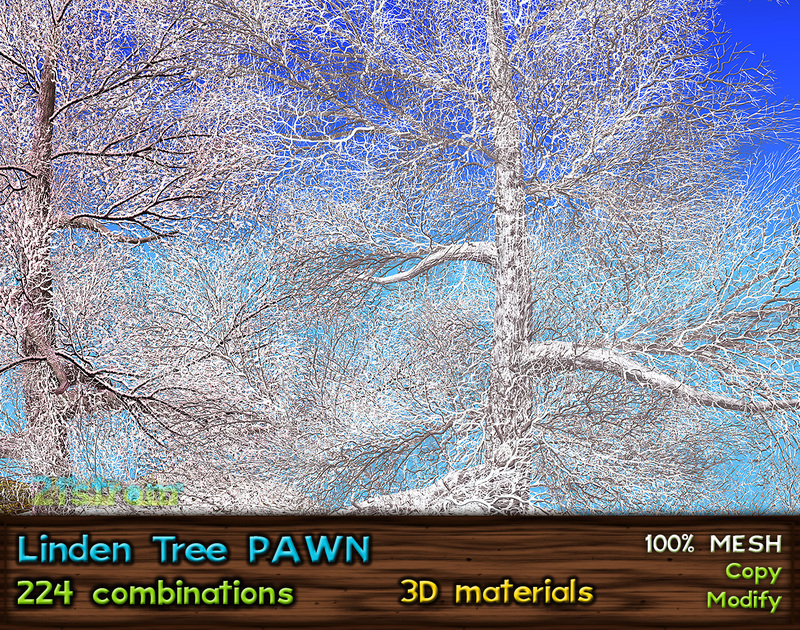 Compatible with other linden climbing trees. 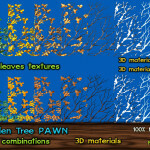 – Script for stopping the wind effect – insert it to tree or ground for turning animation off. 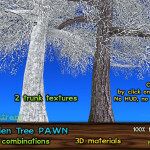 Reset object to start animation again. 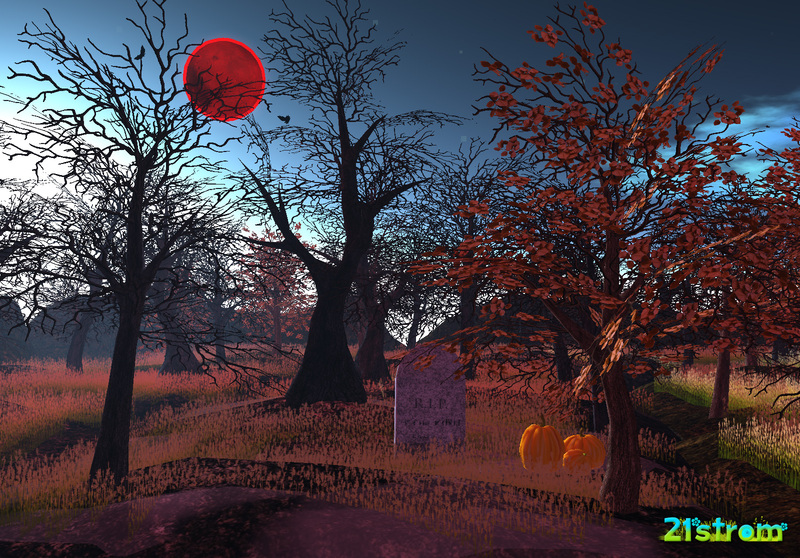 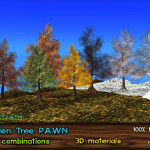 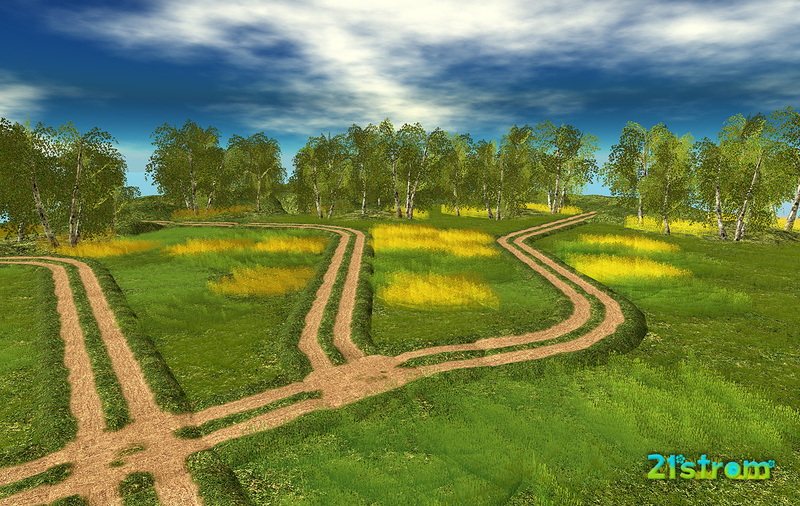 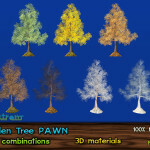 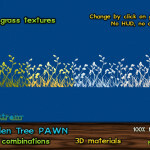 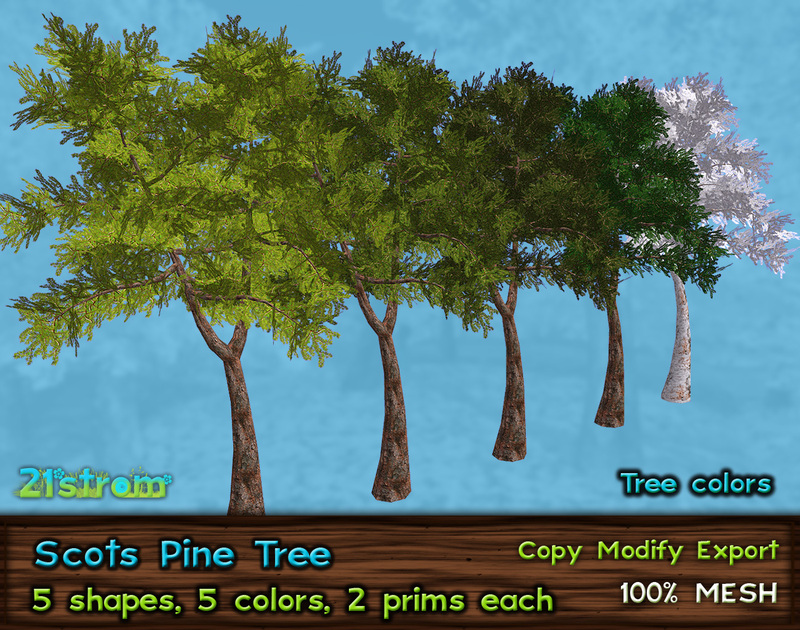 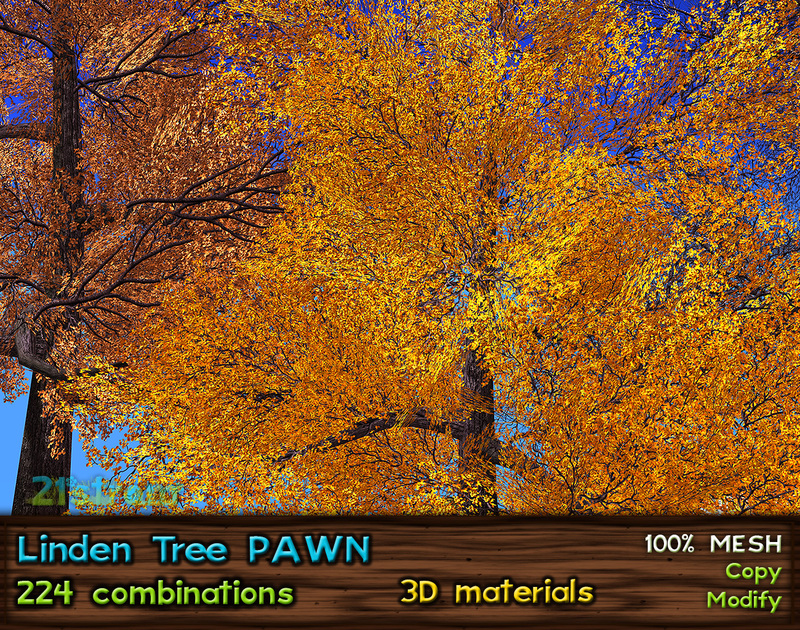 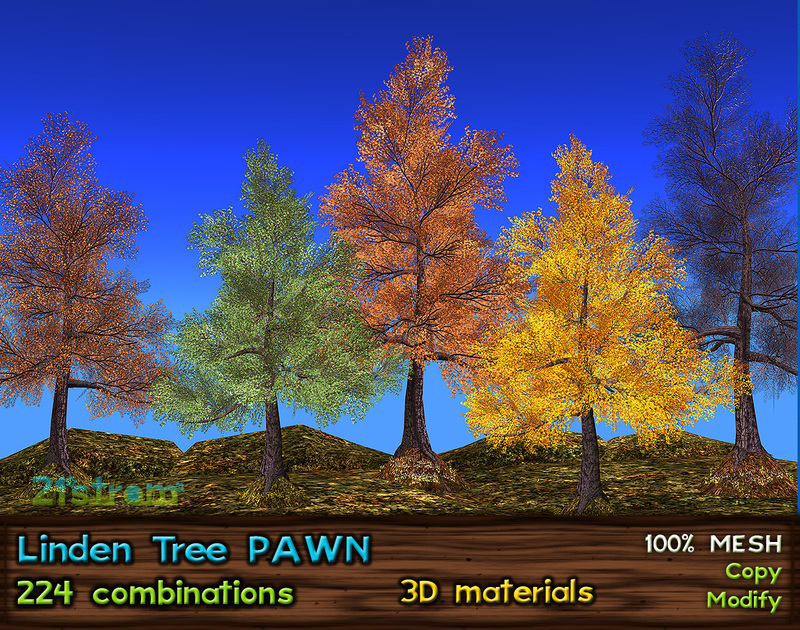 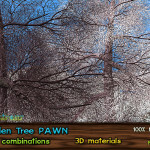 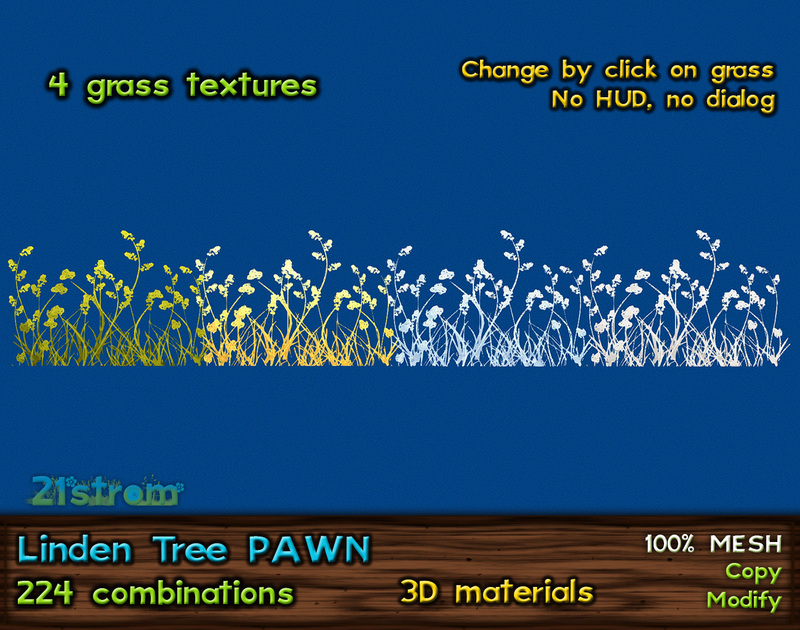 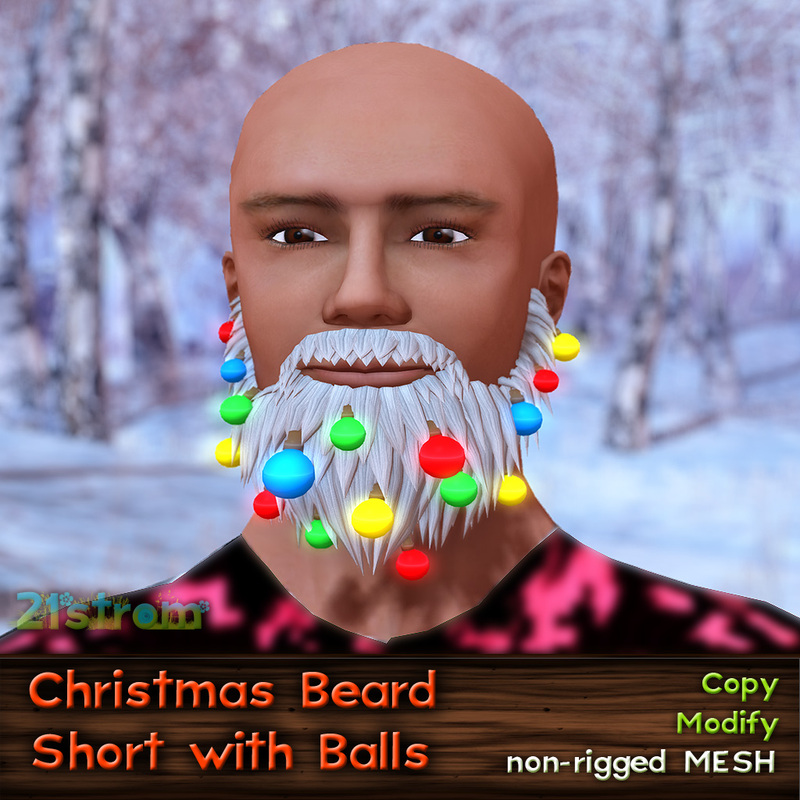 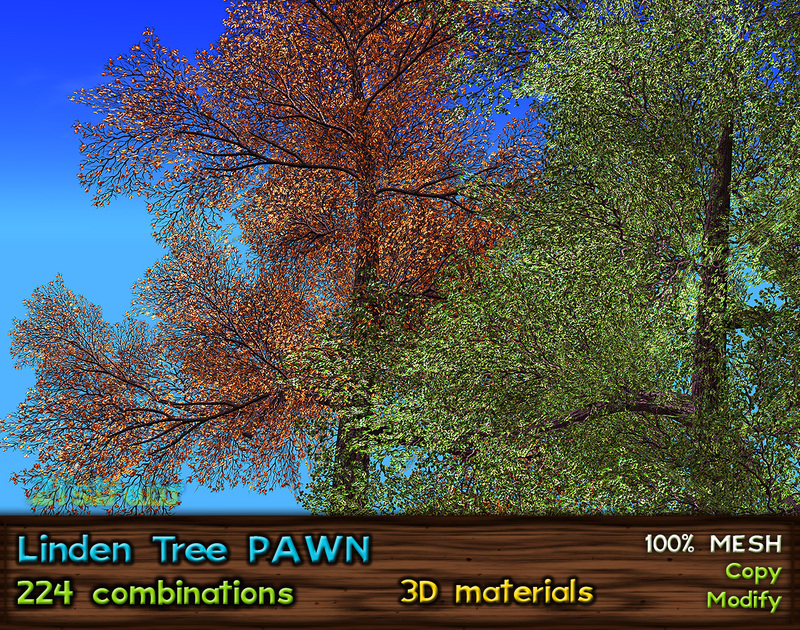 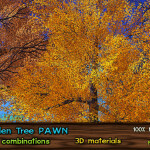 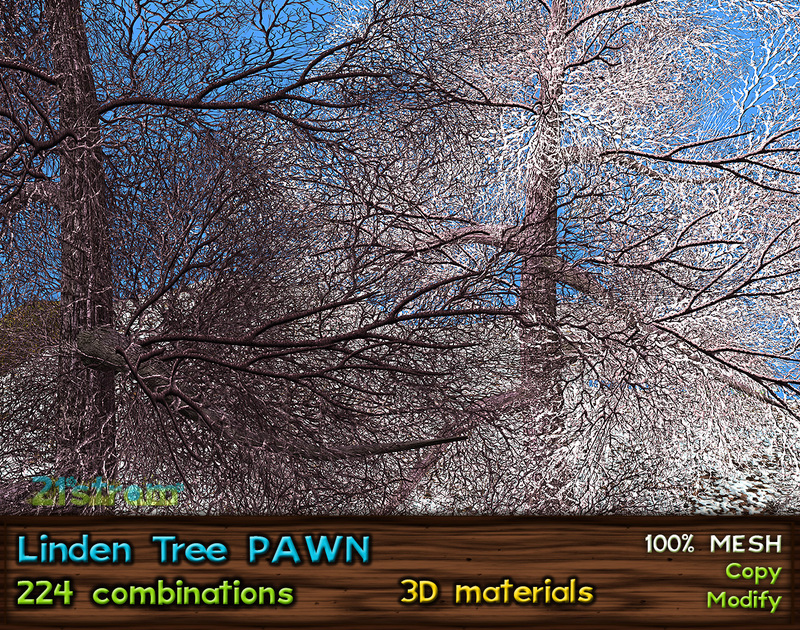 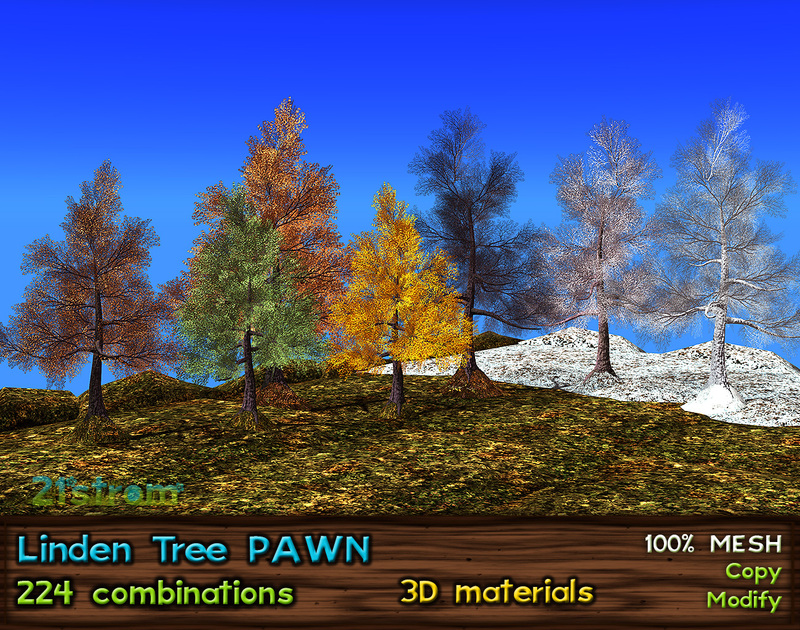 – 1 tree with all options available by click on part of tree – foliage, grass, ground and trunk texture.